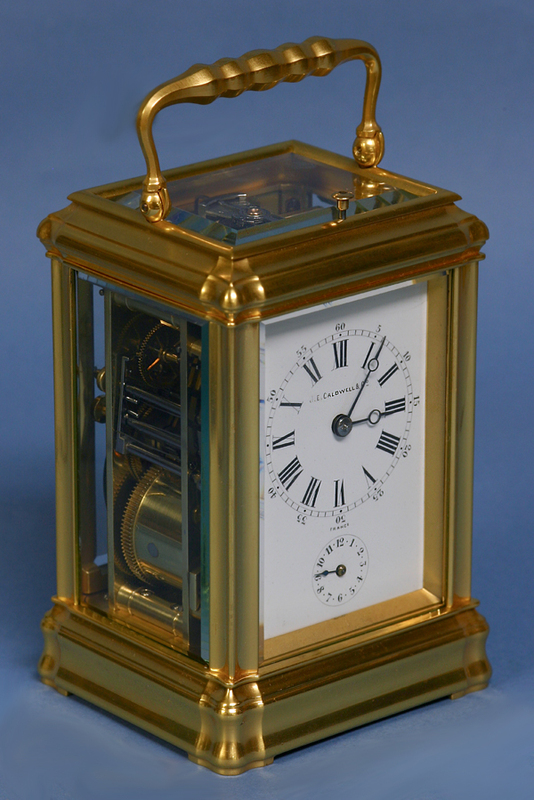 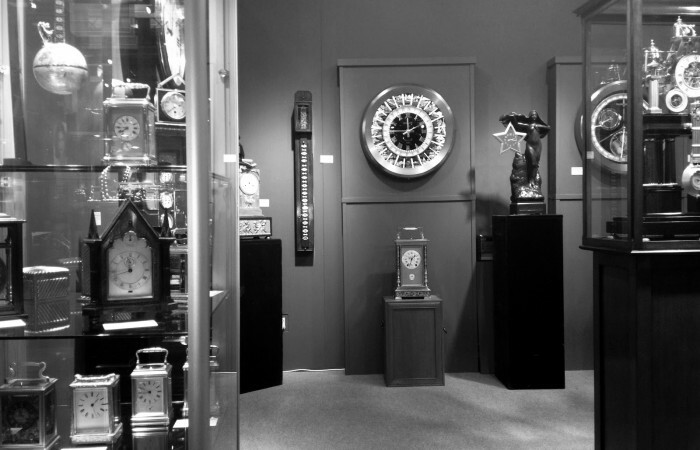 An exceptionally well-made late nineteenth century gorge cased grand-sonnerie carriage clock retailed by Caldwell & Co. 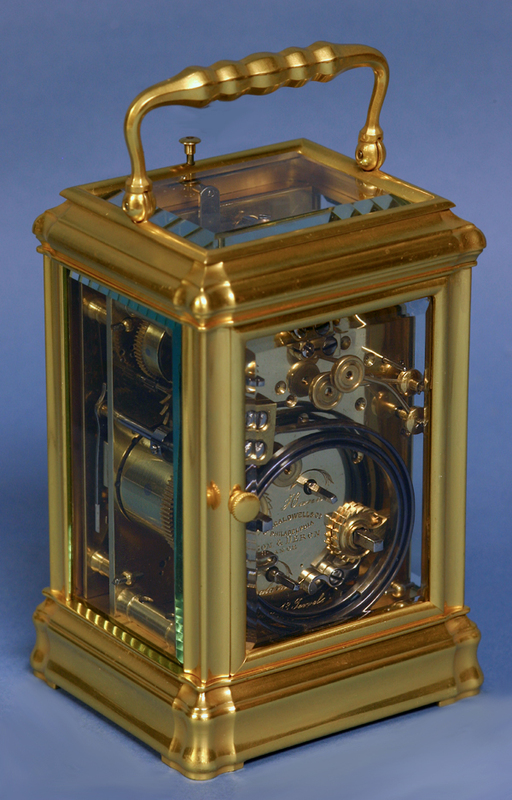 The gilt-bronze gorge-style case has well-defined moldings, pinched corners, a hinged handle and beveled glasses to all sides. 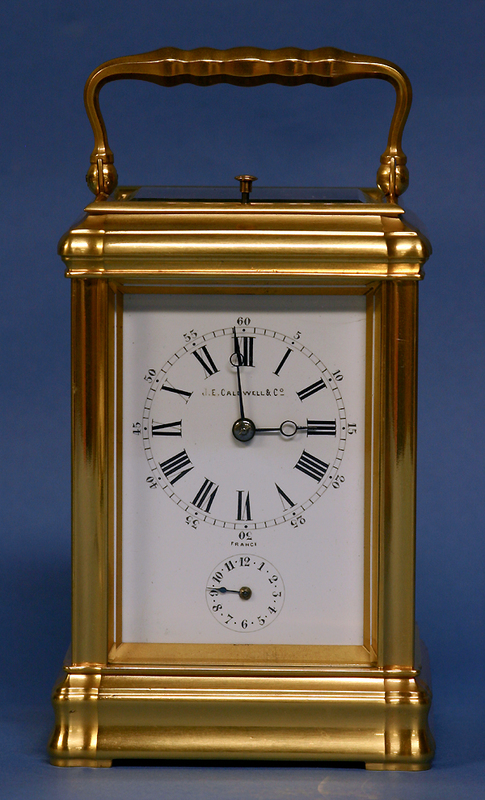 The well-lettered white porcelain dial has black Roman numerals for the hours, black Arabic numbers for the five-minute marks and the alarm hours, steel Breguet-style hands and is signed by the retailer, ‘J.E. 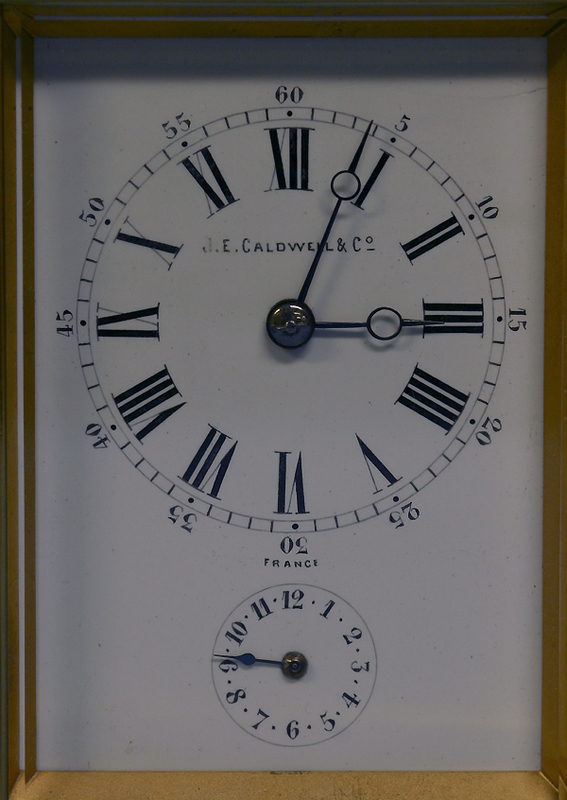 Caldwell & Co., France’. 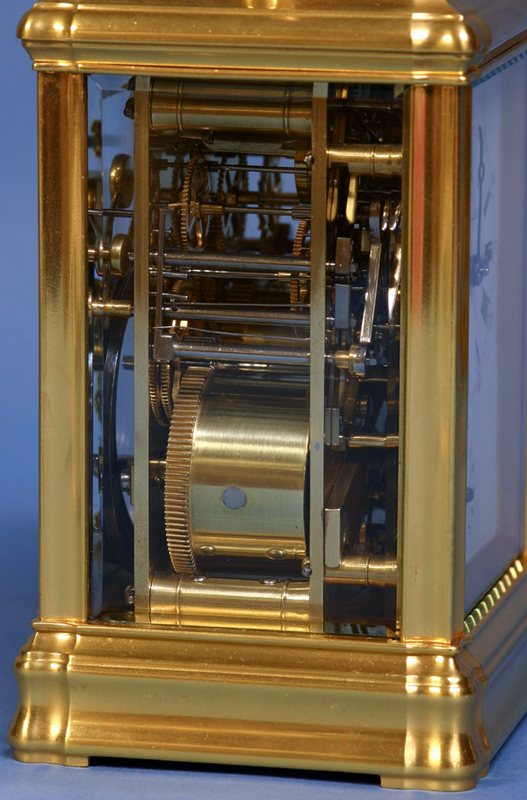 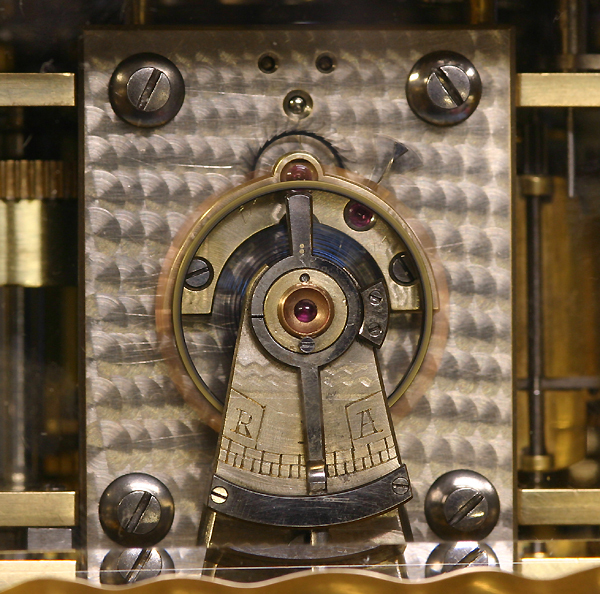 The eight-day grand-sonnerie movement has the repeat out the top, the control lever for grand/petit/silence out the base and a very nice balance platform above with a damascened plate, a bimetallic balance wheel, a steel regulator plate and a flat hairspring with a Breguet overcoil. 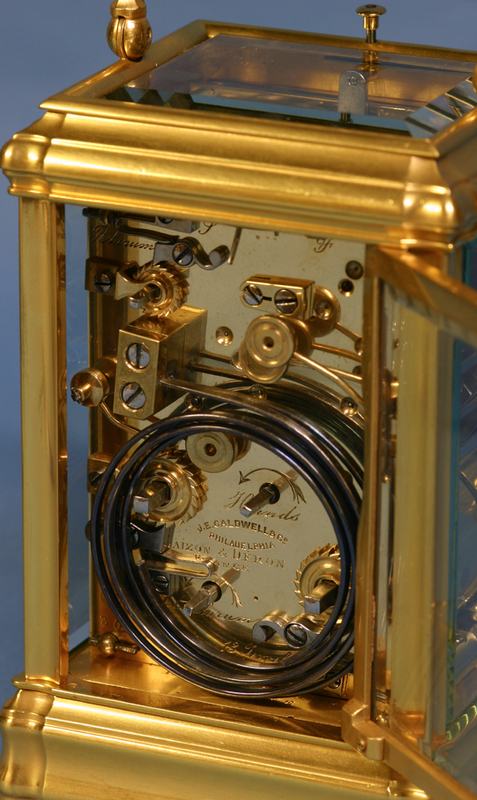 The back plate is stamped and numbered by the maker, ‘ETC’, ’30’, has all the indications in English, has ‘Thirteen 13 Jewels’ engraved along the bottom edge of the back plate, has ‘Laizon & Deron’ engraved mid-way up as it is also engraved on the case right behind the movement and has the retailer engraved across the back, ‘JE Caldwell & Co.’. 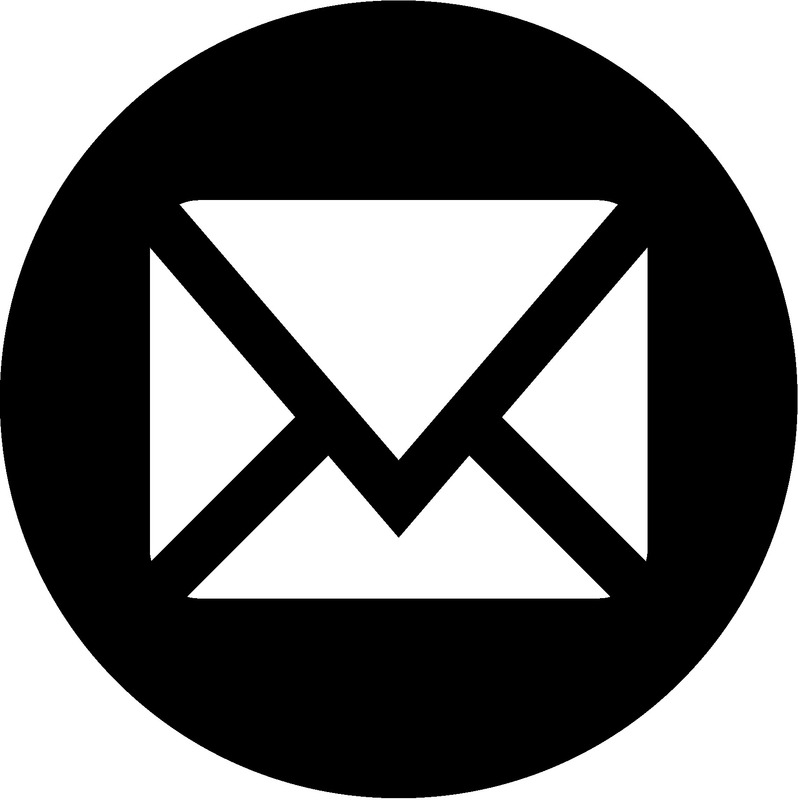 ETC is listed in Allix’s book and Laizon and Deron also retailed the example from which he found the stamp.